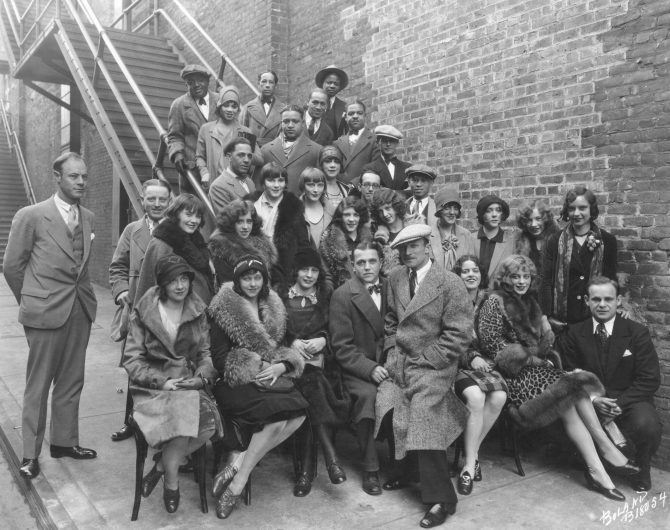 Group portrait of actors and actresses at the Broadway Theater in February, 1928. It is possible that this is Fanchon & Marco Road Show #1 from Los Angeles which appeared at the Broadway that February to help celebrate the Broadway's first birthday. The 50-person revue starred Jack North, banjo player extraordinaire (believed to be man in cap in front row) and featured the Roberts Sisters, the Rhinestone Revue, and three stage bands including Alton Redd's Pods of Pepper and the Queen's Hawaiian Band. Ticket buyers also got the chance to see Adolphe Menjou in "Serenade." 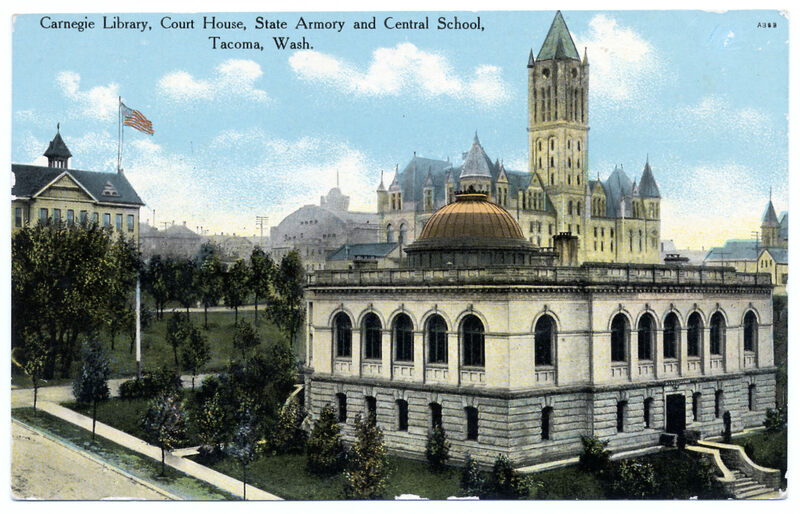 The Broadway, formerly the Tacoma Theatre, celebrated its grand opening on February 4, 1927.